Who loves potato chips as much as I do!?! 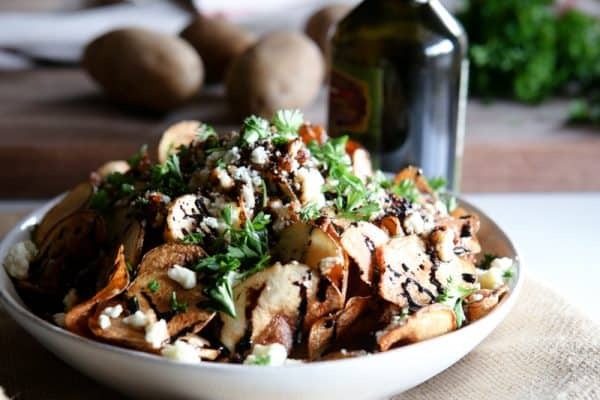 Potato chips have always been my absolute favorite snack, especially when they’re homemade. My mom use to make the best homemade potato chips when I was a kid. She used oil from her “can” of reserved oil that contained bacon fat and oil that had been used to fry chicken, pork chops and chicken fried steak. They were so perfectly delicious! I still make homemade potato chips for my family, at least once a week. They’re super easy to make and really cheap too! 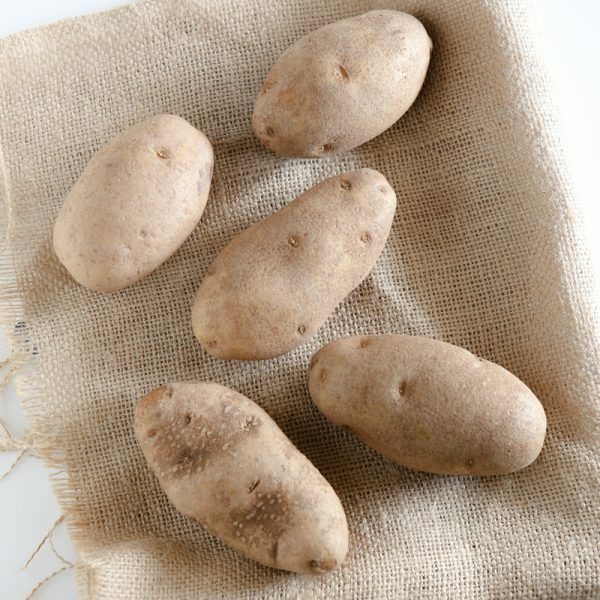 My favorite potato to use for homemade chips is russet potatoes. They fry up crisp and are so delicious! 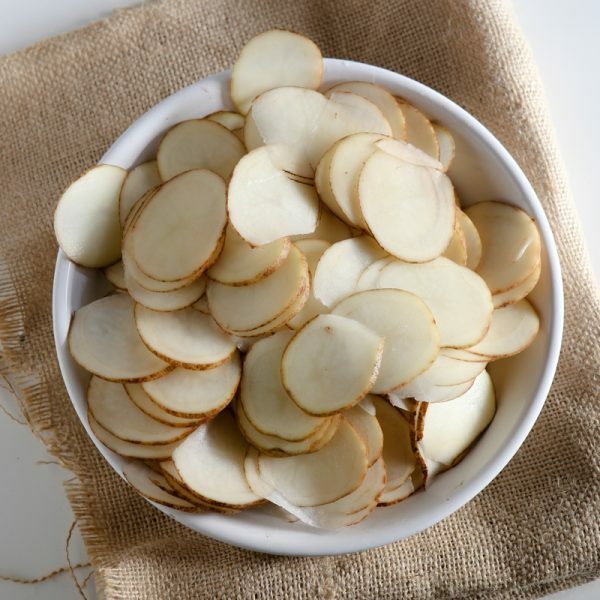 To prepare them for frying, I use a mandoline to thinly slice them perfectly. I have a handheld one that makes quick work of slicing up these potatoes. Next you just deep fry your sliced potatoes in batches until they’re a deep golden brown and crips. Then drain on paper towels and add a little salt. Yummy! Try not to eat all of them while you’re waiting for the others to cook! 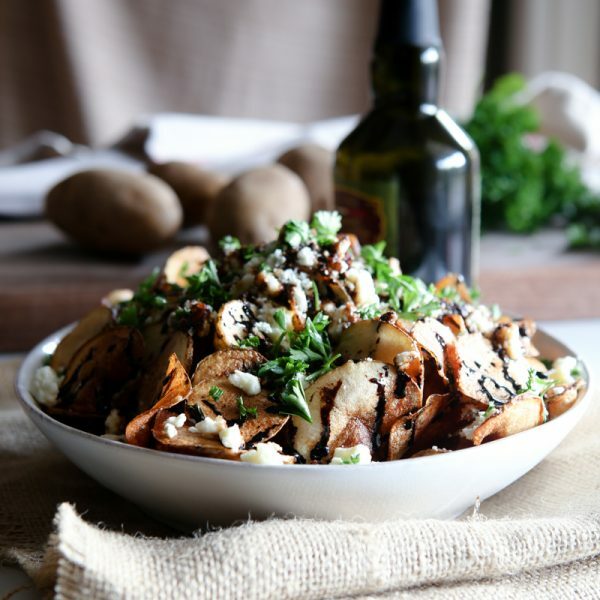 To make these potato chips extra special, I add some gorgonzola cheese and a balsamic reduction. You can buy gorgonzola cheese crumbles (blue cheese works just as well!) in your local grocer’s fancy cheese bin. And the balsamic reduction is made easily by just simmering down a few cups of balsamic vinegar until it has thickened. You can add a touch of honey to the balsamic if you like so the flavor isn’t so incredibly strong. We first had this dish at a few restaurants, and thought how easy it would be to make at home! Some places also add a blue cheese dressing drizzle, but I feel that can make this dish a little too soggy when you get down to the bottom. But how ever you choose to make it, know that it will be simply irresistible! 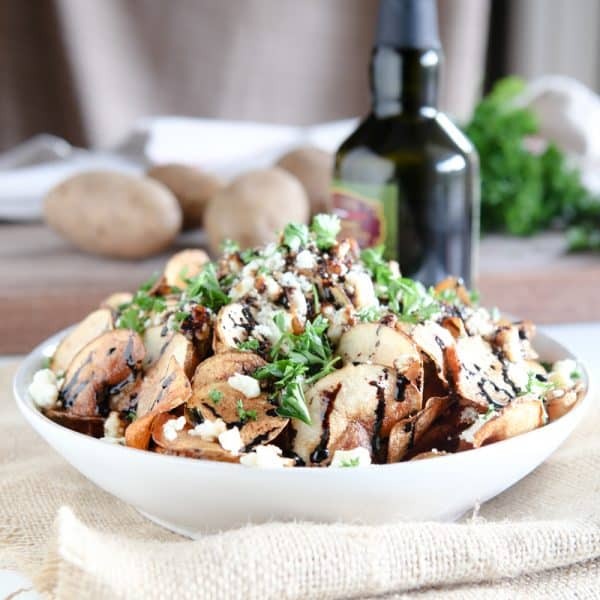 I love to make simple and elegant dishes like this from simple ingredients, like potatoes! Potatoes are convenient, easy to find and super affordable. And did I mention how healthy they are! 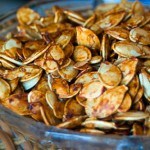 You can use them in so many different recipes, the possibilities are endless! My second favorite way to make russet potatoes is to bake them for lunch. I just bake a potato in my microwave and top it with whatever I have on hand from the fridge for a delicious and nutritious lunch. 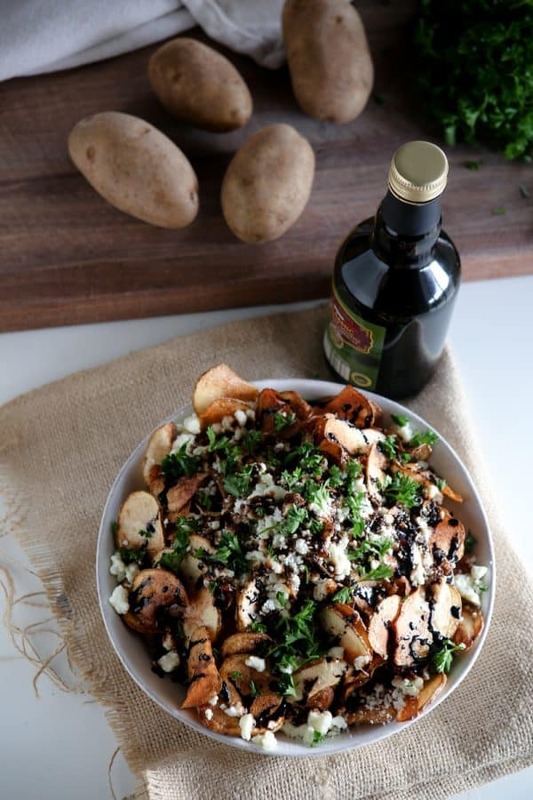 There’s a million different ways to top a baked potato, let your imagination run wild! Be sure to also connect with Potato Goodness Facebook for updates! 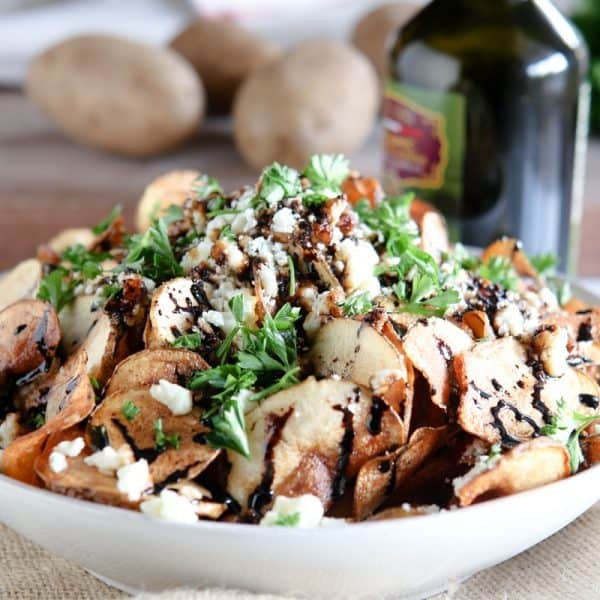 These easy to make homemade potato chips will quickly become your family's new favorite snack! Heat oil for deep frying to 350°F in a large frying pan or deep fryer. 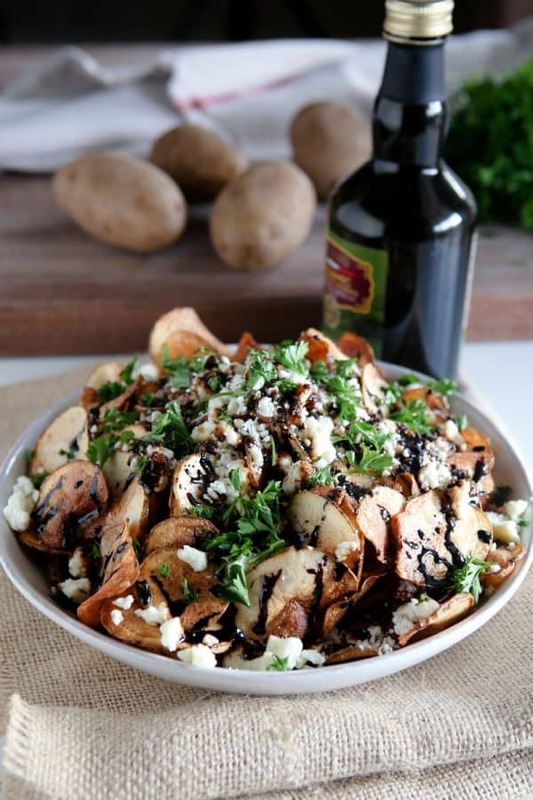 Slice potatoes and reduce balsamic vinegar until thickened. Fry potatoes in batches (about 1 potato at a time) until deep golden brown and crisp. Drain on paper towels and add salt. Continue frying all potato chips. 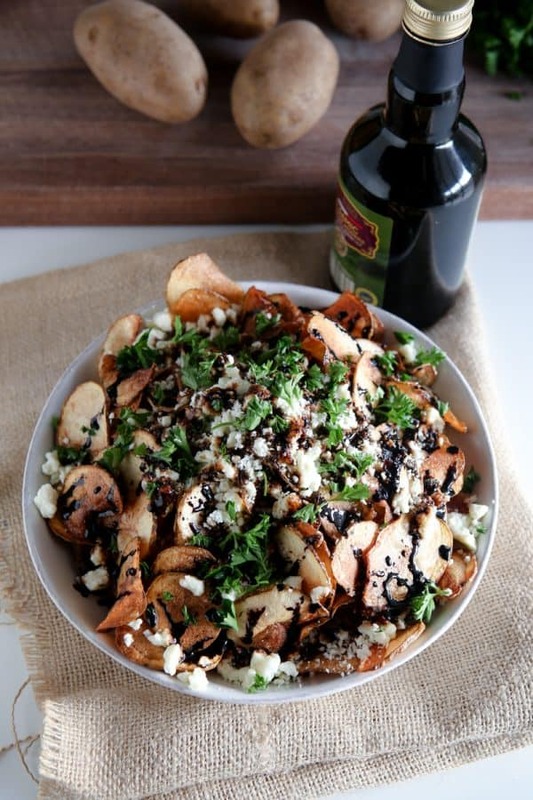 Place potato chips in a large serving plate and top with gorgonzola cheese and balsamic reduction. Garnish with fresh parsley. This is a new potato chips taste to try. Gorgonzola and Balsamic are great idea. These look absolutely amazing. Pinned for later.